As I worked my way through those translations of Balzac, I became aware that I never seemed to remember them afterwards, though I remembered that they had absorbed me. I read A Murky Business (Une ténébreuse affaire) three times, and each time it was like reading a new book. A new and very wonderful book. I have a theory about this now. Balzac writes kinetically, by which I mean this: that the kind of book he is writing changes as it goes along. It therefore cancels its own past, so that if we get to the end and later go back to the beginning, it seems to be a different book. This is rather aridly put, but the point can be illustrated from The Abbé Birotteau (1832). This is a comparatively brief work, about seventy pages. Perhaps for the reason outlined above, Balzac can be distinctively himself in works of any length, and there is no generic difference between works that we might, if it were a question of mere volume, differentiate as novels, contes and short stories. One night in the year 1826, as autumn was setting in, the Abbé Birotteau, the chief character in this story, was overtaken by a shower as he was on his way back from the house where he had been spending the evening. So he hurried as quickly as the comfortable roundness of his figure permitted, across the deserted little square called the Close, which lies behind the east end of Saint-Gatien, in Tours. You cannot call this misleading, since it sets the tone for the opening ten pages at least. We are led to collude with the abbé’s own complacency; he is his own world’s chief character, and if he is not precisely a hero he is at least comic and sympathetic. We always sympathize with a humble person’s pleasures; it reminds us of ourselves. Birotteau thinks of his landlady as a benevolent machine, remembering his late friend Chapeloud’s remark: “‘That excellent woman has certainly a vocation for serving the clergy’”. Taken coldly, there is a good deal one might want to object to in that remark. But when you are reading a book you expect to have to accommodate a few unamiable points of view without too much quibbling. In Balzac’s work, however, the conventions we absorb often end up on the operating-table. We hear about Mademoiselle Gamard as early as the third page; in fact, considering the mode in which the story is proceeding at this moment, we might almost say that “we know all about her”. Landladies, after all, supply a function; they are there and we don’t question them; they have the same invisibility as the servants in a country-house whodunnit by Agatha Christie, where they are never under suspicion and never turn out to be the murderer either. Birotteau’s own failure to identify Mademoiselle Gamard as a human being precipitates his crisis. The seriousness, indeed finality, of that crisis, becomes slowly clear to him. For us, it is a matter of continuous re-adjustment. We begin to realize that she is important, is indeed a person, a highly threatening presence, a person whose power vastly outweighs the “chief character in this story”. But it takes nearly thirty pages before she is thoroughly the centre of our attention. Troubert, his fellow-lodger, takes even longer to assume much eminence. The first sentence we read about him is: “The Abbé Troubert was still alive.” It’s the most diminishing way possible of introducing someone; Birotteau, we understand, has mentally killed him off. Troubert is so subsidiary to anything of importance that he sits even lower in the novel's pecking order than Mademoiselle Gamard; for the lowest of all things is a priest who is under his landlady’s thumb. When, some forty pages later, Birotteau finally recognizes Troubert’s stature, he accidentally names him Chapeloud, the dead friend whom he had always regarded as the most significant person in the household (and his own forerunner). By the end Troubert has become Monseigneur Troubert, Bishop of Troyes, decisively the chief character, and the one on whom Balzac, pretending to philosophize, spends the last pages. Birotteau is briefly glimpsed, even then, but he is a shell: “Over his eyes... illness cast a veil which simulated reflection.” We understand that he remains as empty-headed as ever, and we almost partake in the Bishop’s response; he “cast a look of contempt and pity at his victim, then deigned to forget him, and passed on”. The forgetting is now a gift. Balzac’s prose resists the genre that seems to go along with the characters. “Leave Tours?” exclaimed the Abbé in indescribable dismay. For him that was a kind of death. Did it not mean breaking all the fibres by which he had taken root in the world? Bachelors live by their habits, as their powers of response decay. When to this rigidity of mind, which makes them rather travel through life than live, is joined a weak nature, external things take an astonishing hold on them. So Birotteau had grown to be rather like a plant: to transplant him was to endanger his innocent flowering and fruit. Like a tree, which in order to live has to imbibe the juices from the same soil unceasingly and spread its hair-roots always in the same ground, Birotteau must never cease trotting to and fro in Saint-Gatien, must always tread the earth in the vicinity of the Mail where he was accustomed to take his walks, constantly traverse the streets through which he normally passed, and continue to visit the three drawing-rooms where every evening he played whist or backgammon. “Ah! I didn’t think of that,” replied Monsieur de Bourbonne, considering the priest with pitying eyes. M. de Bourbonne may be pitying, but Balzac’s analysis cannot afford pity. We now see that while the first pages of the story seemed to invite our compliance in a convention of admiring the clergy, accepting their role and their celibacy, the analysis leads to quite opposite conclusions. We also see that the image of those first pages is an image not of just one walk across the square but of the whole unending routine without which Birotteau’s life is inevitably smashed. The paragraph of analysis looks hastily written; it probably was. If Birotteau’s life is compared to a plant’s, isn’t it rather odd to call him, at the same time, a “traveller” and to insist on his movements through the streets? As often in Balzac, such stupid mistakes are actually the deepest insights he has to make. Birotteau both as plant and traveller is seen refusing to live, refusing in particular to accept the necessity of change, with its strong possibility of tragedy, that is implied in sexual and familial life. Mis-filed in the Mills and Boon shelf of the charity shop I came upon The Seamy Side of History, by one Honoré de Balzac, NEL Signet Classics, 1969, complete with a criminally misleading cover – how could I refuse? Admittedly, when I saw the words: “This abridged translation...”, I was tempted to pass, but reason prevailed. I told myself that if I didn’t read this now, I was never likely to run across it again. It certainly is a very odd volume of the Human Comedy. The story concerns a Royalist and Catholic secret organization, of apparently vast wealth, who are dedicated to relieving the sufferings of poverty, especially among the wealthy who have fallen on hard times. It’s divided into two episodes. The first shows Balzac as a master of dry exposition: hardly anything happens, except that it quotes at length the legal papers recounting a complicated Royalist plot during the Empire; the people who were punished include the lady who now masterminds the secret organization – twenty years in the hulks. This episode uncritically celebrates an unworldly religiousness of the most conservative kind (what happened to Balzac’s hatred of celibacy?) The second episode recounts Godefroid’s meeting with an old man and his grandson whose self-appointed task (at which they are failing, being dupes of a plot to fleece them) is to keep his bed-ridden daughter, who has a debilitating mystery illness, in total ignorance of the squalid poverty to which they have been reduced. They live in a slum, but her room, which she never leaves, is kept full of fresh-cut flowers and costly furnishings. Godefroid (an initiate in the secret organization) naturally begins to assist them. An extraordinary Polish doctor undertakes to cure the woman, whom he instantly recognizes as suffering from an extraordinary national illness, invented on the spot by Balzac. At this point, the well-handled plot speeds up, becoming increasingly complicated and indeed farcical. It turns out that the woman’s father is the judge who had condemned the charitable lady to twenty years in the hulks. In the mean time the grandson robs the doctor, for the best of reasons. Things seem to be spiralling toward disaster but at the same time the welcome chink of money is beginning to be insistently heard in the background. Everyone ends up rich, healthy, happy and forgiven. I forgot to add that the judge is just at the point of completing a multi-volume account of modern law which Godefroid assumes will be a money-making sensation. All of this is wildly absurd, yet Balzac gives no indication that he thinks it so. His narrative control, through so many drastic changes of pace and dynamic switches of tack, is supremely, casually, confident; I had to read on, with no picture at all of where this was all going. He has a heroine with no teeth who barks like a dog; surely this is refreshing. At the same time he has a mean-spirited landlady, Madame Vauthier, whom he portrays with composed realism. Remarkably little distinguishes this absurdity from such great books as The History of the Thirteen and Colonel Chabert. Balzac had learnt from the philosophes; he is – but in what a sense! – encyclopaedic and scientific. Yet who can call him their child? – a monster! Balzac’s position was not consistent, it just didn’t add up (or down). It’s unstable. A good state for a novelist of genius – we are lucky he existed. But it would take Marx and Baudelaire to form Balzac’s intuitions into something that changed epochs (in ways that he would have equally detested). Another curious feature of Balzac, who is one of my favourite authors, is that he has often disappointed me - in general, these disappointments have been irrational. Looking back over the years, I have been variously disappointed by Ursule Mirouët, Eugenie Grandet, Le Père Goriot (yes, a little).... I enjoyed Splendeurs et Misères de Courtesanes the first time, but couldn't get through it a second time. And now, César Birotteau. In this case the disappointment descended very late on, in the third and final section. This is the part of the book in which the hero, now bankrupt, is restored, partly by the efforts of his friends, to a place of honour - a second shock, which this time he does not survive. This was Balzac's last completed work and is generally considered the best of his plays, but it does nothing for me. 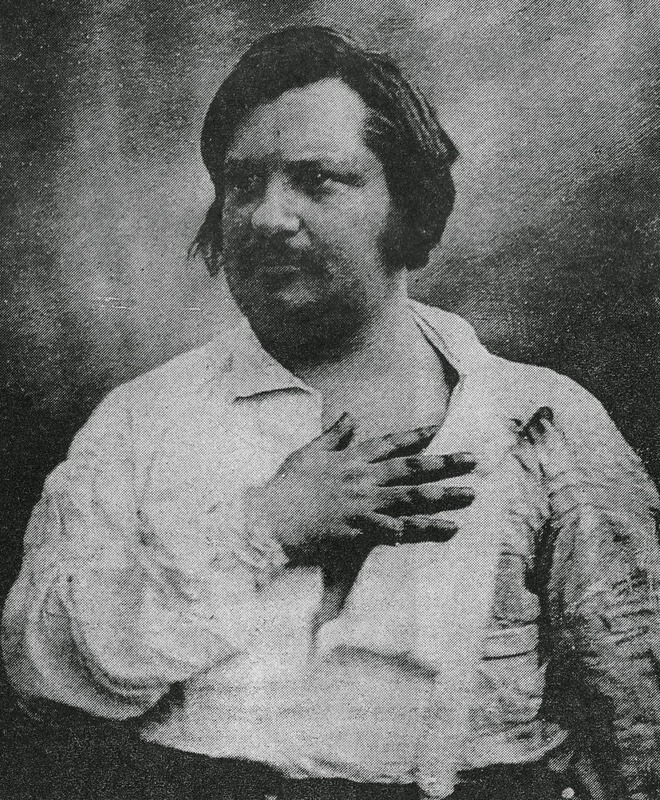 Balzac was interested in the theatre because he thought he could make serious money from it. In the end the timing was bad, Paris was in the middle of a revolution, but the critics liked it. They do not seem to have noticed - or rather, they accepted - the theatrical conventions that now seem so ridiculous, the absurd contrivances of the plot and the grotesque use of asides. Gertrude: Well, thank God you're not in love with him. I was really alarmed for a moment, because, my dear, he's a married man. Pauline: [calmly] He's married? But why does he hide it then? [Aside.] Married! It would be infamous! I must ask him this very night. I will make the usual signal. Gertrude: [aside] She doesn't show the slightest sign. Either Godard is mistaken or the child is as strong as I am. [Aloud.] What on earth's the matter with you, my angel? Pauline: With me? Nothing at all. Gertrude: [putting her hand on Pauline's arm] You're very hot. [Aside.] She certainly loves him. . . . But does he love her? Oh, this is hell. To our minds every one of these asides could be profitably eliminated; none of them tells us anything that we couldn't make out for ourselves, were the scene only to be played unimpeded. And how on earth can Gertrude, scrutinizing her stepdaughter closely, observe that "she doesn't show the slightest sign" when we have just heard Pauline explode "it would be infamous" ? Or rather, how could the audience hear this without laughter?